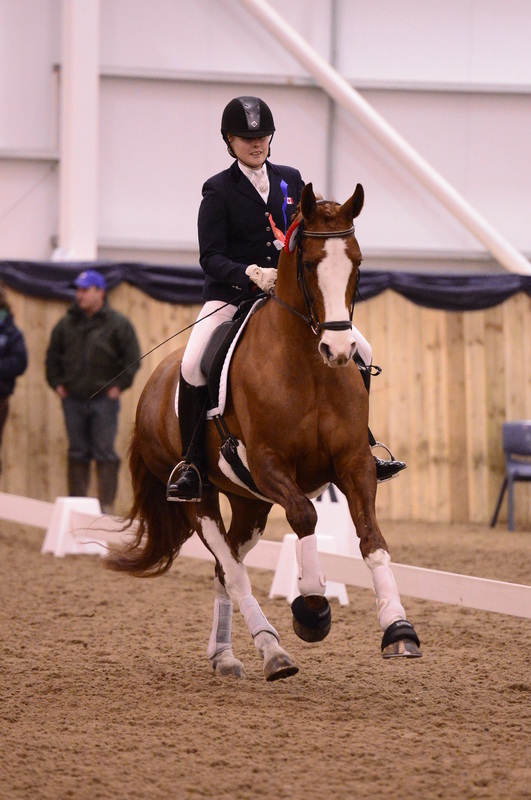 British Dressage KBIS Para National Championships! We Won! There has been no rest since WEG as I had been preparing Darcy for the National Champs that happened this weekend. 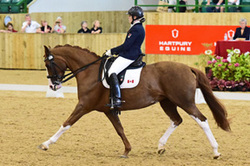 Darcy had had about 3 weeks off while I did final prep with Dino and was away with the Canadian team so she had had a nice little holiday - I do believe she felt that she had proved herself by winning all her classes at Hartpury CPEDI3* and was to be retired to be a fat broodmare! Anyway, Darcy, Double Agent, really pulled up her socks and showed everyone that her Hartpury CPEDI success was not a fluke. 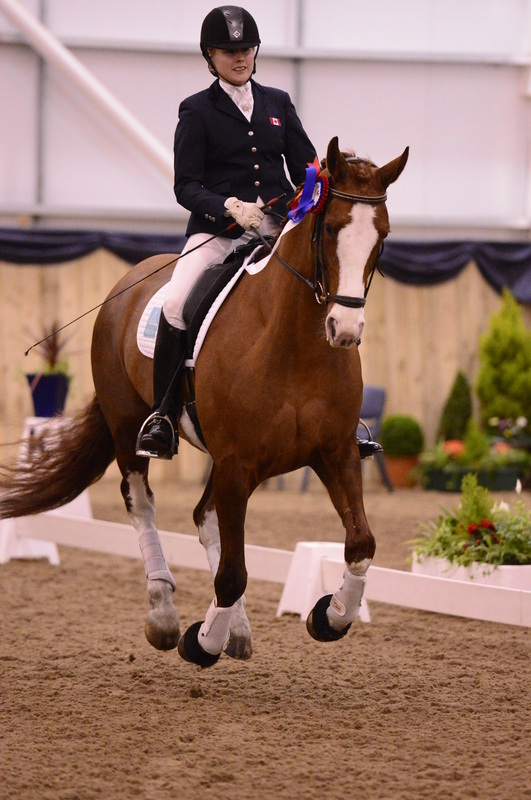 She strutted her way to 70.8%,winning the Grade 3 by a fair margin and the Best amateur/owner/rider sash and she was the highest scoring British bred in the Para classes. I am so excited about the future with Darcy now! 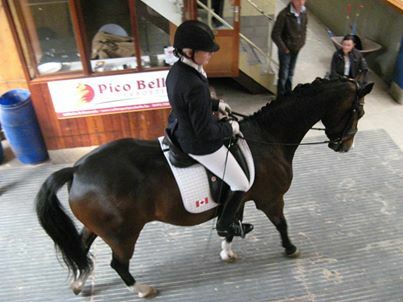 Here is the link to 'My First Dressage Memory' Facebook video from the BD FB. 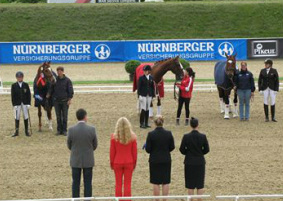 It all started well, Dino quite literally flew through the trot-up (like a kite!) 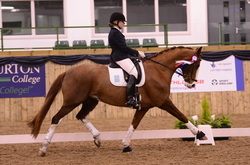 - Emma Hale, my groom, did an amazing job holding onto him!! Then the rain came down for the Team test, Dino doesn't like the rain but he still tried to do his best. We have a flat test which left us in 8th place and the battle was on to qualify for the freestyle final (top 7 go through). Individual test day went a bit smoother and Dino found his mojo to dance to 6th place AND that left us lying in 6th place overall (scores were that tight together) and into the freestyle! 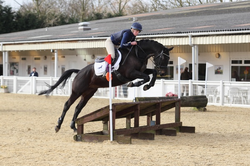 The Freestyle day was lovely and sunny, the surface had dried out and the arena was riding very fast unbeknown to me as I was the first to go in the Grade 3. Dino was on steaming good form and even had a little bronc around the outside of the arena before we started. I love my dramatic music, put together for me by Tom Hunt. We had a couple of tension mistakes which proved costly and we finished way before the music did, I was praying as I hit the final trot tour that we were on the second loop of the music, but alas no, we halted and the music kept rolling. 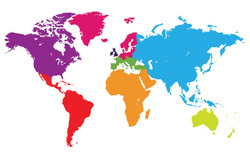 But even with these issues we finished 4th in the WORLD, just shy of a medal. 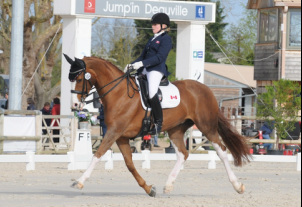 Thank you to all of Team Equine Canada, Gareth Hughes, my sponsors and supporters for making this possible! I am so pleased to have been nominated for the Equestrian Social Media Awards! 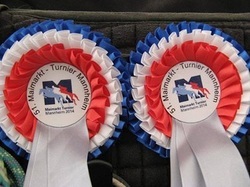 I have been recognised for two categories, 4 - Best use of SM by a Professional Horseman and 22 - the North America regional award. So at the risk of sounding like Donkey in Shrek - Pick Me! Pick Me! - please take a minute to vote for me, your support would be fantastic! Thank you! 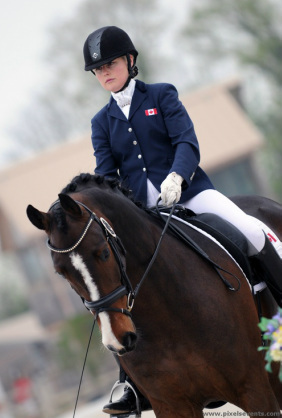 New Sponsor - Safemix Equestrian Bedding! 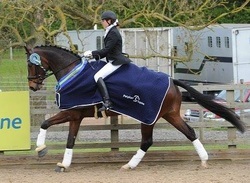 I would like to welcome Safemix Equestrian Bedding on board! A massive thank you to Safemix for providing my horses with their beautifully soft, dust-free shavings and shredded wood fibre bedding! I am sure they are going to love this cushiony, comfortable bed. And I am going to enjoy it's easy to pick up shaped bales, ease of mucking out and knowing that my horses get a good night's sleep. Just such a beautiful photo I had to share! Thank you so much www.davidneve.com !